What a cool gift card! I never saw them in the stores! I would love to win this gift card, thanks so much! This gift card is super cute! Yay! Thank you for all that you do.. What a cool one! Thanks for all you do. You are so appreciated!! I love the WOW cards! I “like” you on Facebook too! Please WOW me! I LOVE Target! What a great site I always look forward to everyday! My favorite at Chuck E Cheese! Now my son is having fun playing it too. Already “like” you on Facebook. Thanks for the giveaways and everything else! ‘Already did’ and still do! Love your site and all you do. Also like you on FB. Love your site and like you on Facebook. Love your site! Saved a bunch of money so far! Such a cute gift card. 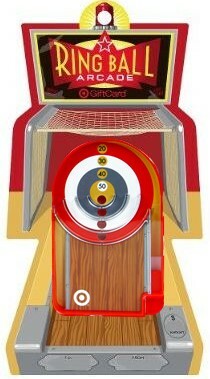 Brings back memories of having fun playing skeeball as a kid. I’d love to win! Thanks!